To secure your reservation there will be 10% non-refundable deposit charged on the credit card provided. Cancellations/alterations must be made 48hrs before 2pm of the arrival date. Late cancellations and no-shows shall be charged the equivalent of the first night's accommodation (non-refundable). As we are also a licensed bar, you must be at least 18 years old to stay with us. We do our best to accommodate you with your friends in the dorm of your choice. However, beds are allocated as bookings are received so if you're one of the last to book you may have to change dorm during your stay and we cannot guarantee that you'll be roomed together. €10 cash deposit required for room key. We will pre-authorise your credit card for the first nights stay. We cannot accept debit cards for pre-authorisations, however if you only have a debit card, we can charge the sum of your first night to secure the booking instead (please note that this is non-refundable). Cards which fail to pre-authorise may result in your booking being cancelled. Groups of 5 or more males must email Nelly’s for special conditions before booking. Certain group types must also sign a damage liability form, agree to hostel rules and leave a security deposit of €30 each. Security deposits will be returned after rooms are checked and providing that house rules are not broken. This group type must book the entire dorm they are in, so as not to share with other hostel guests. All group bookings of 10 or more beds will be charged the remaining balance 3 weeks before arrival. For groups of 20 or more beds, the remaining balance is due 6 weeks before arrival. After this any cancellations/alterations aren’t possible. - Total amount must be paid by credit card 3 weeks before arrival - we will then confirm reservation by email. -Once payment is taken the booking cannot be cancelled or altered. - Once payment is taken the booking cannot be cancelled or altered. Please note that between January 2019 - March 2019 we will have some renovation done, so there will be building work going on. 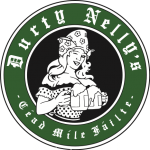 Durty Nelly’s Hostel and Bar offers clean and comfortable budget accommodation in the coolest city on the planet! If you are up for sightseeing during day and party in the evening – you found the perfect place! 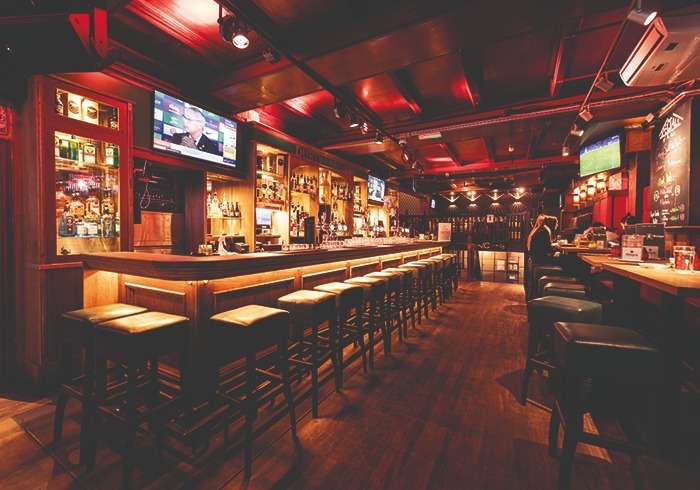 We offer you a great mixture of atmosphere, top location, friendly and helpful staff and famous Irish Pub on the ground floor for your enjoyment! Located just a short walk from the Central Station, in the heart of the historical city center, in walking distance to city attractions, sights, and nightlife.